Blogging in Seattle seems like a natural outcrop of rainy days and a tech-savvy population, but I’m convinced blogging about animals is truly an art. According to Seattle Post-Intelligencer blogger Monica Bretherton, Seattle boasts a broad spectrum of people who like to read and write about animals. “Horse people love to talk about horses,” Bretherton said. Her blog, “Horsebytes,” focuses on horse riding, especially endurance, trail and adventure riding, as well as horse care and rescue. In 2008, the Seattle P-I put out a call for bloggers and offered to host their sites. The P-I got advertising revenues, and bloggers, like Bretherton, got readers. She said she uses writing as a way to reflect on her adventures as a horseback rider. Her horse, Willie, has been the focus of some blog posts but many posts skillfully paint a picture of Bretherton’s experiences attending riding events, meeting homeless horses at SAFE (a horse rescue group) and watching for a new foal born at Willie’s barn. 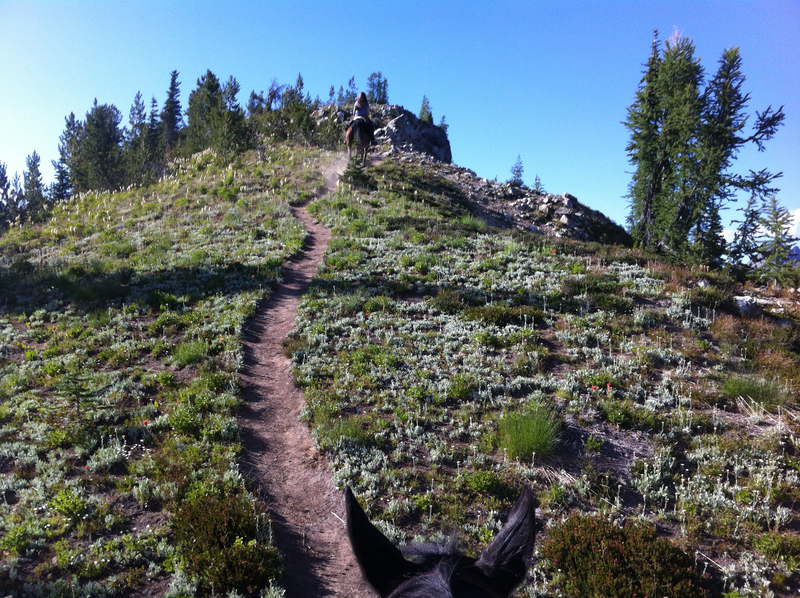 “Horsebytes” is full of stunning pictures of rides through fields of wildflowers, rocky cliffs and steep forest trails. Some pictures are clearly from the perspective of the rider, with horse ears sticking up from the bottom in the frame. “Horsebytes” literally takes you along for the ride, and the opportunity to enjoy the unique moments in the life of a horse lover is why blogging about animals is so unique. Few of us get to interact with a foaling mare or climb through the mountains on horseback, but we can read about it at blog. seattlepi.com/horsebytes. In the same way, few of us get to experience the joys of being a domestic duck and chicken rescuer. Seattle blogger Tiffany Young writes about her experiences caring for Seattle’s homeless ducks and chickens. Her blog, “Ducks and Clucks,” documents the major events of her impromptu flock. Young doesn’t answer interview questions like a writer. Instead, she is an advocate — another great reason to be a blogger in Seattle. 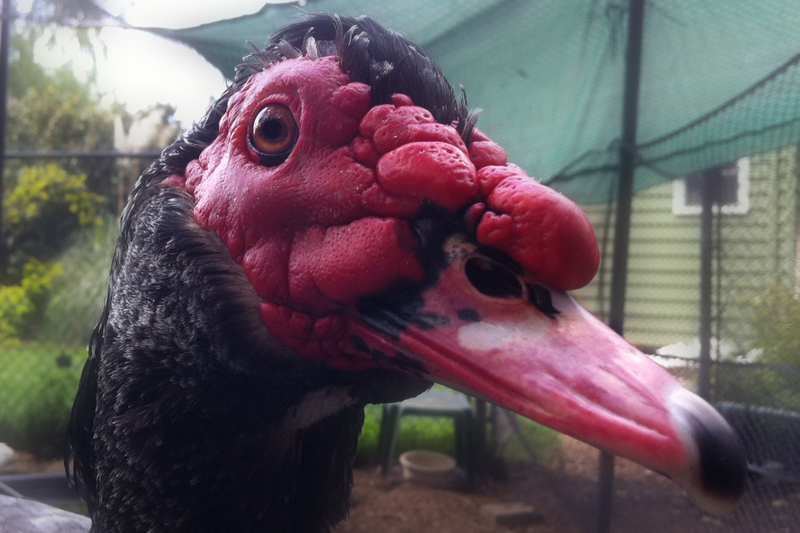 “The blog is there to tell their stories,” Young said, as she cuddles with a Muscovy duck that had been keeping an eye out for a warm lap and a moment to jump into Young’s open arms. 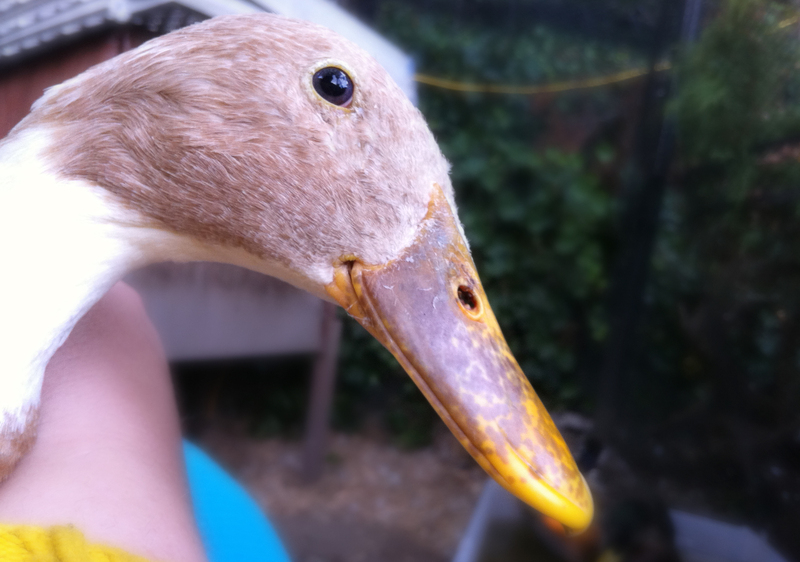 Young said she updates the blog with every major event, such as a death in the flock, a newcomer or a major recovery, such as was the case for Danny Girl, a domestic duck that was suffering from metal toxicity and arrived at Young’s home from PAWS. Danny Girl now lives with some physical impairment but hops along like a trooper and swims in the kitty pool like a champ. Members of Young’s flock come from local agencies like PAWS and the Seattle Animal Shelter. She gets the ducks and chickens that need some extra TLC or permanent or long-term care. Young explained that birds have deep emotional lives, but they can look stoic from outside “the flock.” Young’s “Ducks and Clucks” blog gives you a peephole inside the flock, where all the precious moments, the drama and sometimes the sorrows reside. The intimate moments of releasing a healed pigeon back to the park or videos of Young’s flock responding to her calls share with readers a world so few would ever get to experience. “Ducks and Clucks” can be found at ducksandclucks.com/blog. If you need another reason to check your favorite blog, here is one. Has your Seattle dog been spotted? You can check on “Seattle Dog Spot,” a local, canine-dedicated news site and service directory for dog owners. Owned and operated by Seattle resident Robert Pregulman, “Seattle Dog Spot” is a full-time job. Pregulman writes local dog-related stories covering such topics as vacationing spots for you and your dog, special rescue stories, all the local dog news and the wonderful reunions of soldiers with their dogs after tours of duty. As a Seattle Animal Shelter volunteer himself, Pregulman said his favorite part of running the site is seeing all the people who do so much for dogs that would otherwise be homeless. The “Seattle Dog Spot” weekly newsletter reminds you about the comings and goings in the vast community of Seattle dog lovers and often features a dog for adoption at one of several rescue groups. “Seattle Dog Spot” also serves dog-obsessed Seattle with a business and organization directory that allows you to find services and read reviews — all dog-related. Pregulman is launching a new version of the site in October that will add, among other things, the capability to start meet-up groups and list dog groups to join. “Seattle Dog Spot” can be found at www.seattledogspot.com. With carefully crafted posts that follow the adventures of the horse and rider, the inside scoop on a particularly special flock of birds in North Seattle or navigating Seattle’s boundless love of dogs, these Seattle bloggers keep us connected to our love of animals in a digital age. Hi Christie – Thanks so much for mentioning my blog in your article! It was a nice surprise to see today. Like most launches, the new site has been delayed but it will be up in early December for sure. Oh, okay we’ll look forward to the launch in early December! I’m excited to see it! Thanksgiving was great, thanks! Hope yours was too.